This fall gardening checklist will help you get ready for the gardening off-season. Learn about autumn garden care and how to winterize your outdoor space to make things so much easier when the garden starts blooming next spring. Getting out in the garden this time of the year is a great time to look back on the success you had in your garden and also to figure out how not to repeat your biggest disappointments. One of the best things about doing tasks on this fall gardening checklist now is the abundant cool temperatures. The garden is such a pleasant place to be when you don’t have to worry so much about high heat and pesky bugs. Even if you follow just a few of these tips, you’ll know that your winter will be worry free and you’ll have much more time next spring to do the things that all gardeners love to do when the weather gets warmer. After all, who wants to do last year’s maintenance when you are itching to get planting? Pull up old annuals that have finished flowering. 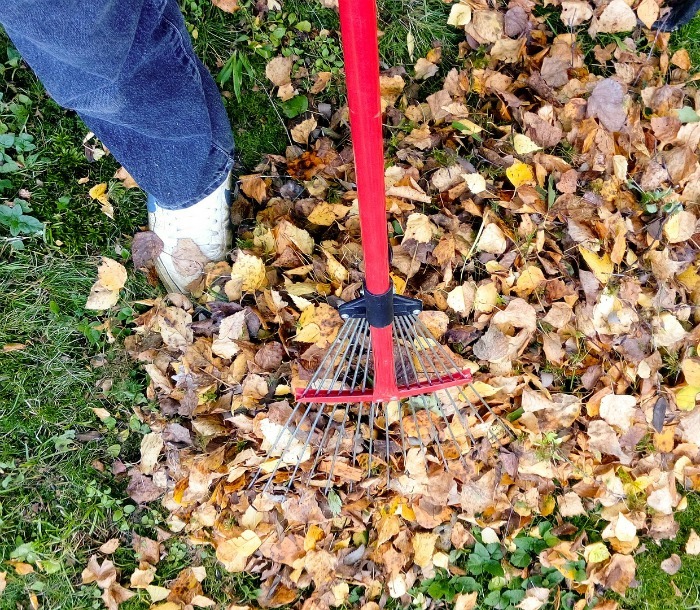 Add them to the compost pile, along with the fallen leaves of nearby trees. Rake up twigs, cuttings and general unwanted plant matter and compost them, too. They will decay over the winter and give you a head start on the organic matter that you’ll need next year for healthy plants. 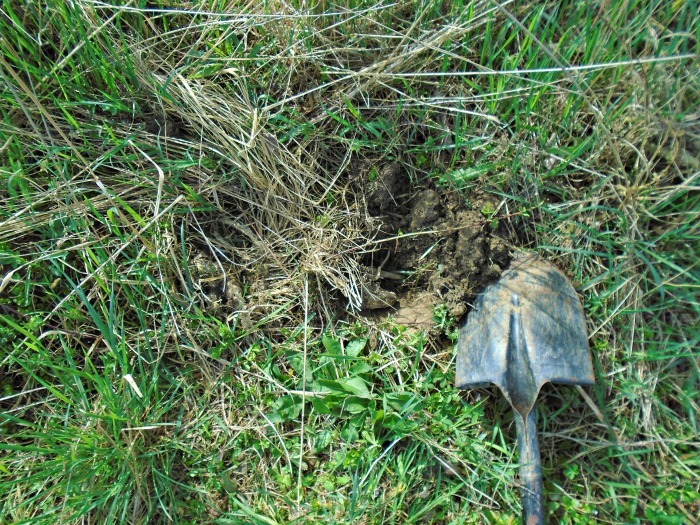 Is your soil heavy and compacted? Add a layer of compost and turn the soil over. This will add extra nutrients to the soil and improve the structure of the soil. 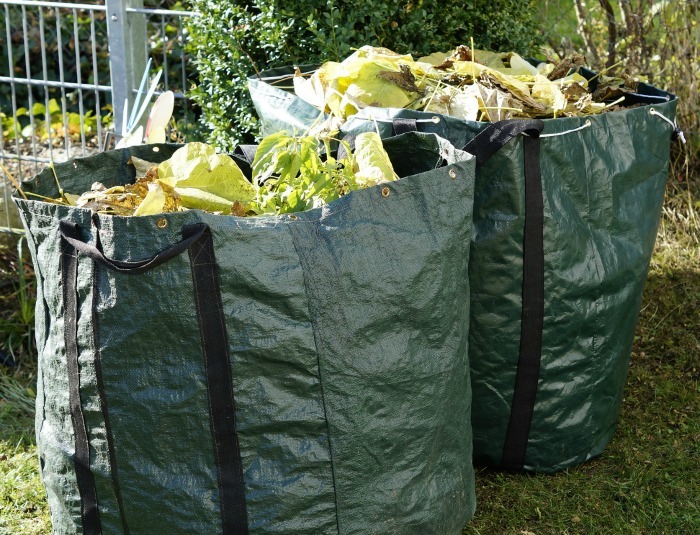 The freezing and thawing temperatures will help to work the compost into the soil over the winter months. Check to see if any of your plants have heads that are suitable for preserving as dried flowers. If you have a lot of leaves, don’t dispose of them all. Rake them and then bag them up and let them decompose over the winter. Leaf mold makes a great garden mulch. 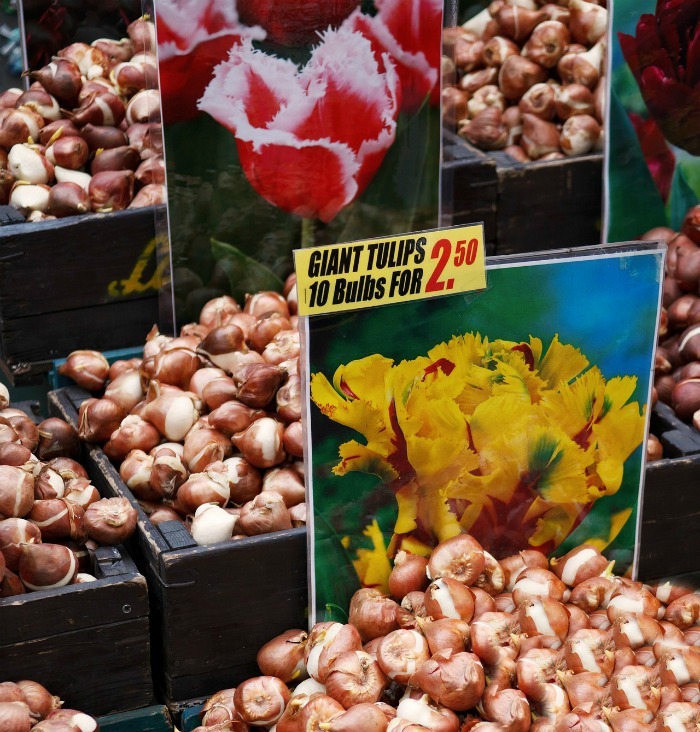 Dig up tender bulbs that won’t last over the winter. For me, that means caladiums, begonias, and dahlias. I love them all, and digging them up now means that I won’t have to pay for new ones next spring. The best time to do this just is just after the first frost, but I dig my caladiums up before they freeze. They have a way of totally disappearing once the cold hits them. Save seeds from open pollinated flower and vegetable plants to use for plants next year, or to try planting them to grow as indoor plants inside during the winter months. Be sure to keep the seeds dry in an air tight container in a cool, dark place until you are ready to plant them. If you have overgrown clumps of perennials, now might be a good time to divide and replant them while the soil is still warm. Thinning them out will give you a healthier and better looking plant. Many herbs are perennial but most of them die right back after the first hard frost. Just because herbs die back when the weather is cold doesn’t meant that you will not want to use them! 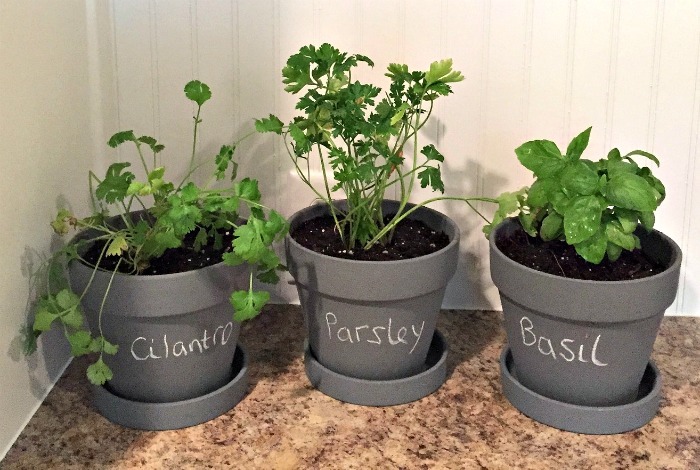 Take cuttings of your herbs and bring them inside, or purchase new herb plants to grow inside during the winter. See my list of the 10 best herbs to grow indoors. Garden tools get a good work out during the summer and will be dirty and in need of sharpening. Now is the time to clean, sand and sharpen them before you store them for the winter. It’s easier than you think and this job will save you money over time by making your garden tools last longer. 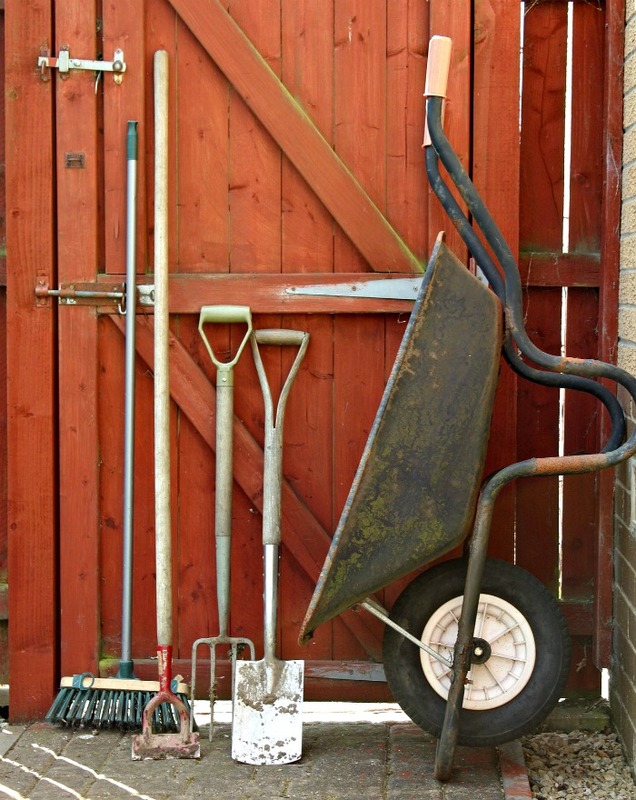 Check over your pruners, rake heads, blades of spades and clean our your wheelbarrow before storage. See more tips for winterizing garden tools here. Fall is a great time to dig a new garden bed. Just choose an area, dig up the soil, grass and weeds and turn it over with the weeds facing down. You can add organic matter, waste paper and kitchen scraps to the top of the area as the fall and winter progresses and in a few months, you’ll have a new bed that is ready for spring planting. Even a really weedy area will work. This type of garden bed is called a lasagna garden and it works beautifully. The organic matter that you add to the top layers turns into rich soil for planting later. Check out this post to see what you can add to a compost pile, which is essentially what this is for now. 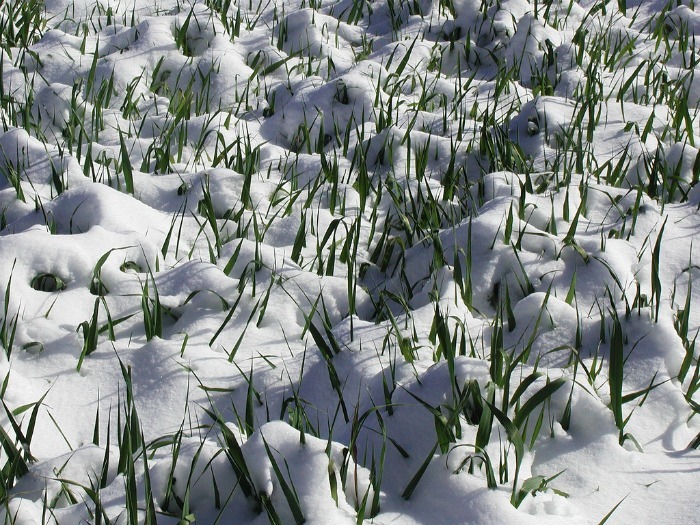 Nothing works as well at keeping the weeds away over the winter months as a cover crop like winter rye, crimson clover or buckwheat. These plants will condition the soil as they die back in the freezing weather and help to prevent soil erosion in your garden. Next spring, just cut down the crop and till in under before you replant your spring garden. Cover crops also attract beneficial insects to your garden. Autumn is not just for fall gardening clean up, though. There are some plants that do very well, if planted now, and add much needed color to your outdoor living space. 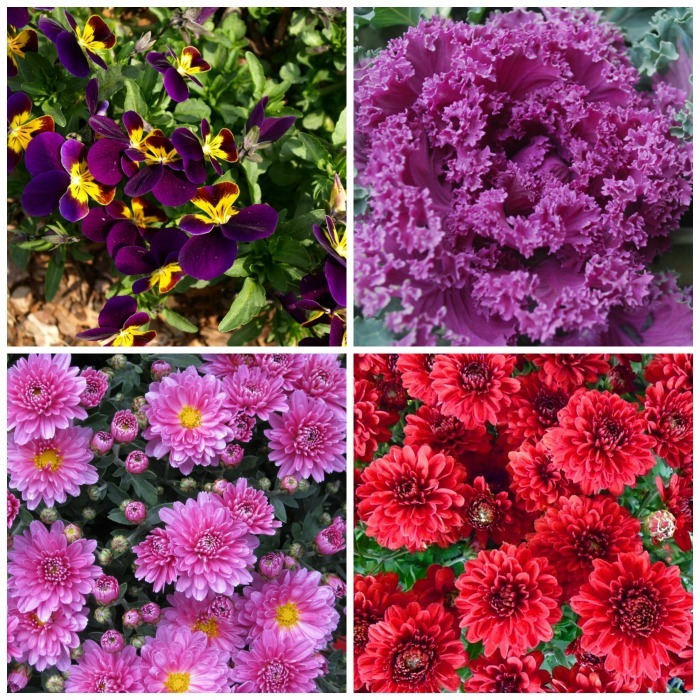 There are lots of colorful plants that can handle the cooler temperatures. Try some of these fall planting ideas. One of the most important parts of a fall gardening checklist actually relates to planning for next spring. Each year, I get a new batch of spring blooming bulbs and plant them in areas of my garden where I have empty spots. This will give me a garden that starts early and is ablaze with color long before the perennials and summer annuals start growing next year. See my list of bulbs to plant in fall. Before the frost hits your plants and turns them to a mushy mess, take cuttings of some of your favorite plants to bring indoors. It’s easier than trying to bring in a bunch of mature plants. Also the plants grown from cuttings will transplant more easily next spring than larger plants that you bring inside and try to baby over the winter. 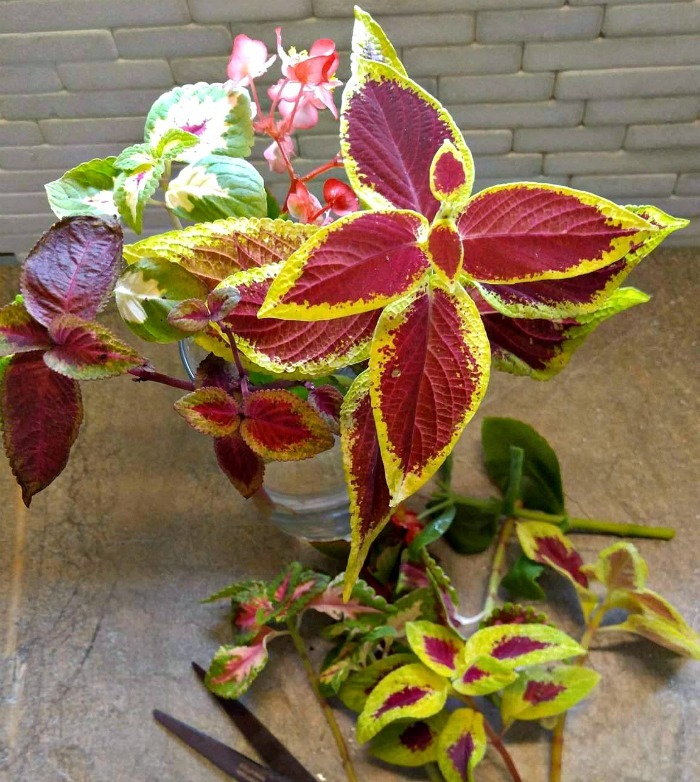 I love to bring in cuttings of begonias and coleus. They root very easily and do well as house plants. The birds have enjoyed feasting on garden pests and treating you to their serenading voices all summer, now is the time to encourage them to stick around another year. Be sure to keep bird feeders replenished and make sure that bird baths are clean to ensure that the birds will keep using them. 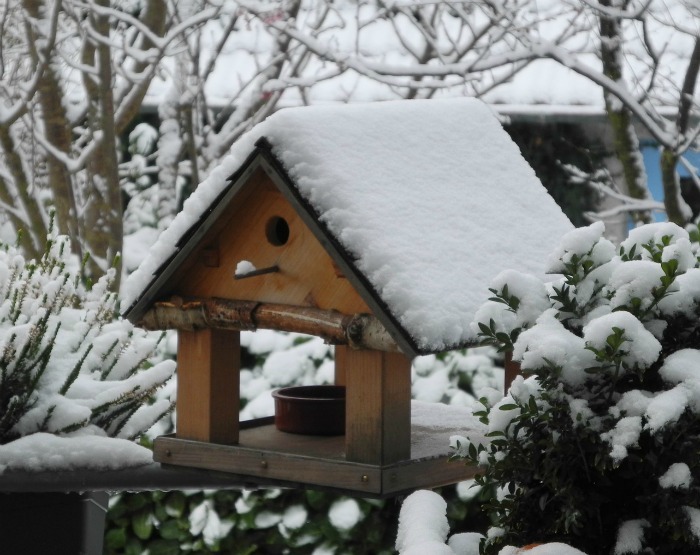 If you do this, you may even be surprised by birds in your garden in winter! Rain water is plentiful and will keep bird baths topped up, but if they are dirty, the birds will shun them. Also have leave the seed heads of some bird friendly plants such as coneflowers to give the birds something extra to enjoy. 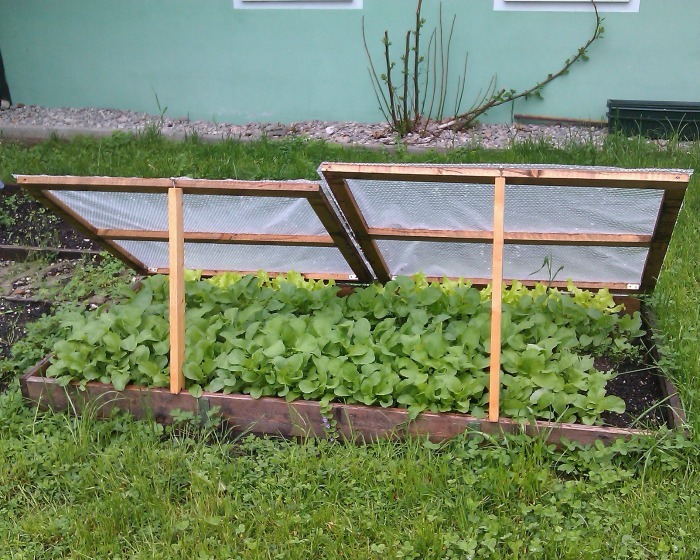 You won’t want to clean out a cold frame when the weather is freezing in a few months. Clean them out now, in the fall, will make it all the more likely that you will put a cold frame to good use next spring. Once cleaned, you can even keep using your cold frame to keep growing plants like lettuce or Brussels sprouts or other fall vegetables. 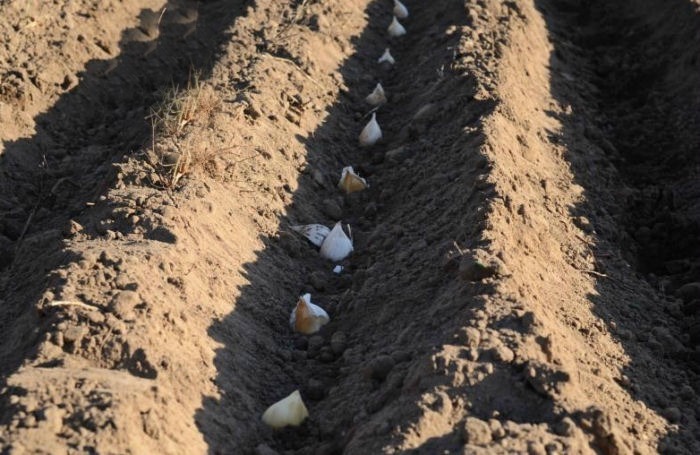 Garlic loves the cold weather and planting garlic in the fall is a way to ensure that you have a great crop of it next year. Even though you can plant garlic cloves in the spring, if you do it now, you’ll find that your bulbs will be bigger and more flavorful when you harvest them next summer. Fall is such a great time of year to be working outdoors, and tackling a few of the items on this fall gardening checklist will give you a head start on the garden next spring. What do you do in your garden this time of the year? I love your check list this is inspirational and very useful. Lovely pictures. We started with some outdoor work, but have not finished. We have to go into it again. Your list will be processed to get us back on track.